Welcome Home! 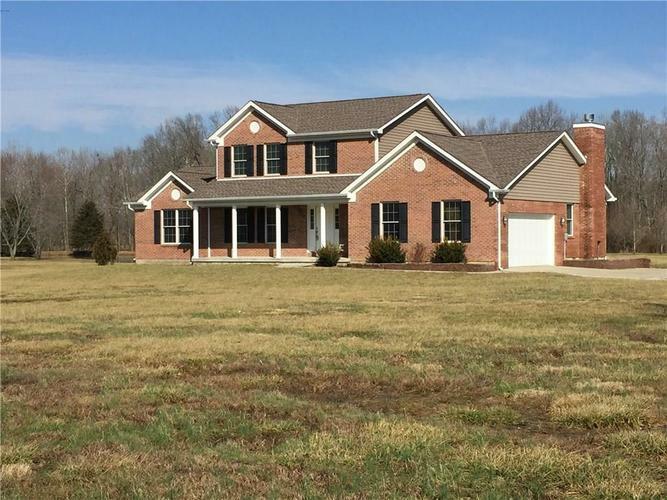 This 2012 Custom Built, Brick, two story with 4 bedrooms, 2.5 baths located on almost 6 acres is a must see! Wide open floor plan great for entertaining. Kitchen offers stainless steel appliances, island bar, breakfast bar and large pantry. Master Bedroom on the main level with large walk-in closet and master bath. Also a walk-in closet in a bedroom upstairs! Then look outside and see your dream garage! Custom Built, Brick Detached, 30x60, insulated, 6 car, includes a 9000 lb lift, high efficient HVAC, with an office area. Located behind the garage is 1 acre of underground fenced area for your dogs to run. Only 10 minutes to I65! Come check it out! Directions:From Columbus take 31 south past Seymour, turn left onto 50N, 3 miles on the left.